Twitter is an interesting beast. You need to give it a go and sort of figure it out as you go along. Find out what works best for you. My usage waxes and wanes lately. I need a new driver to make me tap into its value once again. Many individuals simply do not “get it”. Anyway, read this first…. a great post by educator Alan Levine: The Twitter Cycle. 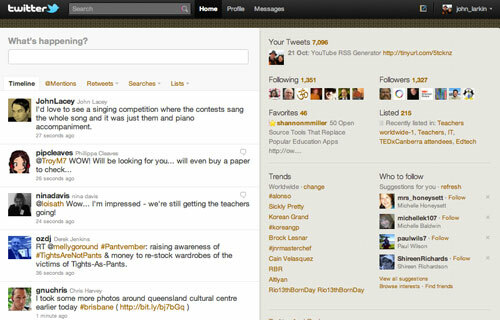 Twitter has been labelled as a micro-blogging tool. It allows you to post short messages with a maximum of 140 characters including spaces and punctuation marks. Your messages can be read by all unless you make your account private via settings. In that instance only your subscribers will be able to view your posts. The primary criticism directed towards Twitter is the fact that individuals post items regarding the minutiae of their daily lives. This is certainly true yet as time passes the inherent benefits of the tool become more apparent to users who persist with its use. As a Twitter user builds up a larger base of followers their tweets will conceivably be read by a reasonable number of people. This may not seem all that important however if that group of followers share a common interest, for example, education, then the tweets can take on a life of their own. 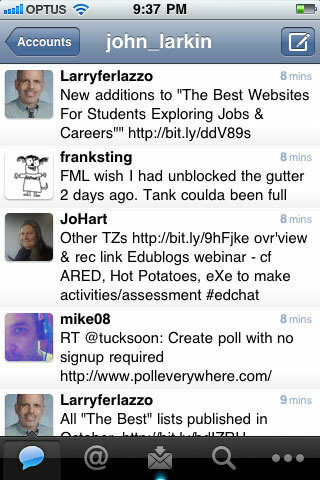 An educator may post a tweet seeking advice on a particular item of curriculum, help with a software problem or advice regarding an upcoming conference. Their followers will read the tweet and will possibly reply to the tweet with a solution, forward or re-tweet the tweet to a wider audience or simply read it and leave it at that. Regardless, there is every chance the educator will gain assistance from their band of followers with their specific question. Illustrated above is the Twhirl desktop client for the Mac. This particular image depicts a number of replies or mentions received by myself from a variety of followers. 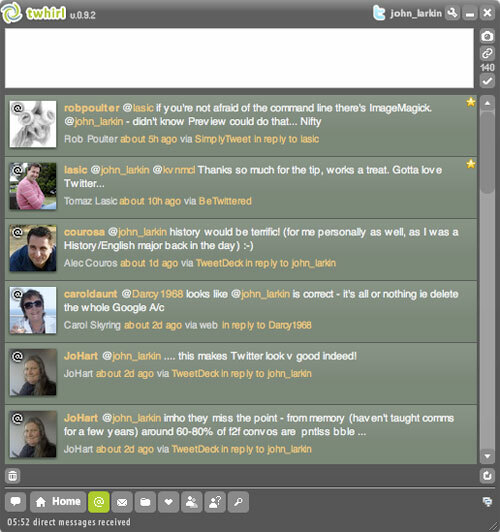 Users of Twitter also use the service to share news, links and resources. Naturally, gaining access to those particular tweets is wholly dependant upon being on Twitter at that specific point of time but experience has shown that significant resources, issues or links will usually resurface frequently and possibly become a meme via the concept of a hashtag. As Alan Levine illustrated superbly in the Twitter Cycle there is what I call a curve of comprehension and finally an eureka moment when the user finally gets it. For this online tool to be beneficial, however, a reasonably large core of followers is necessary. There is a myriad of methods one can use to access Twitter. 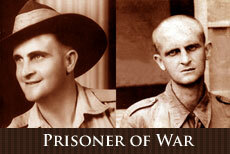 As illustrated above one can access Twitter via a web browser or a dedicated application. There are numerous desktop and mobile clients that one can utilise to consult their twitter feeds and contribute to the conversation. 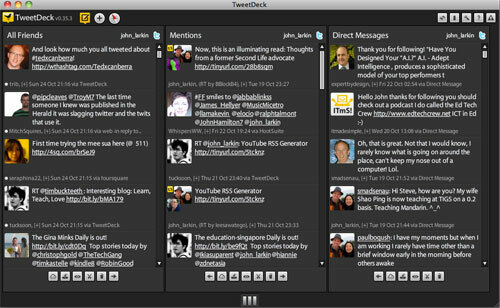 Tweetdeck is a popular desktop client for the Mac. It allows the user to set up multiple columns displaying mentions, search results, direct messages, multiple accounts and the main timeline. It also has mobile clients for the iPhone, iPad and Android devices. Twitter for iPhone is a robust and reliable method for accessing Twitter via the iPhone. It is well designed and easy to use. 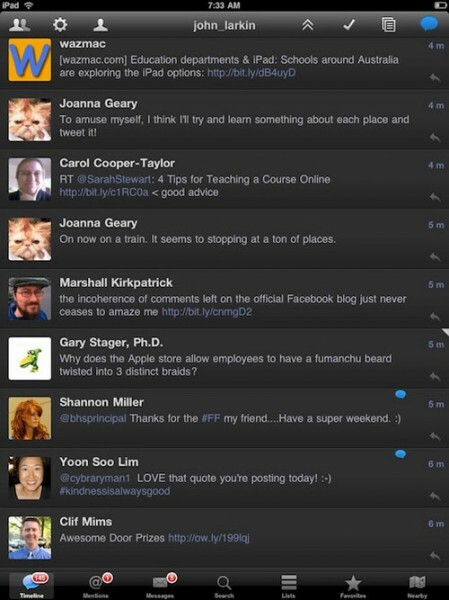 Osfoora HD for the iPad is an excellent app for accessing Twitter. It has a rich feature set and allows the user a number of options with respect to replies, retweets, and direct messages. 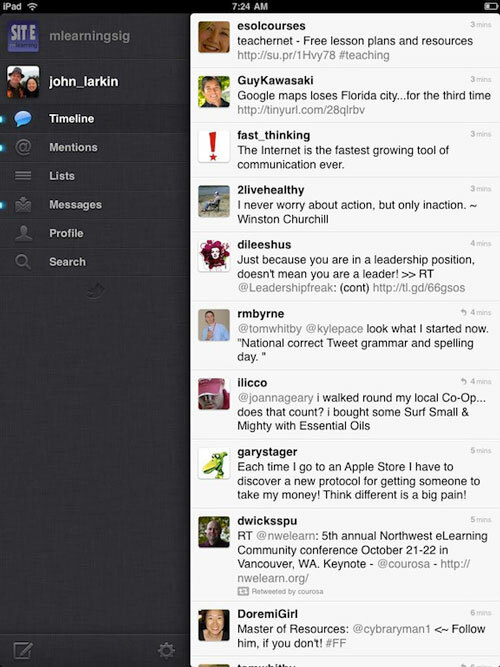 The official Twitter app for the iPad is quite good yet not as versatile as Osfoora HD. 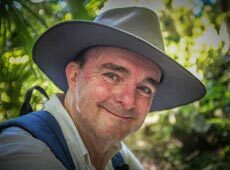 If you wish to explore Twitter further please download my Twitter guide and consult the collection of relevant links below. 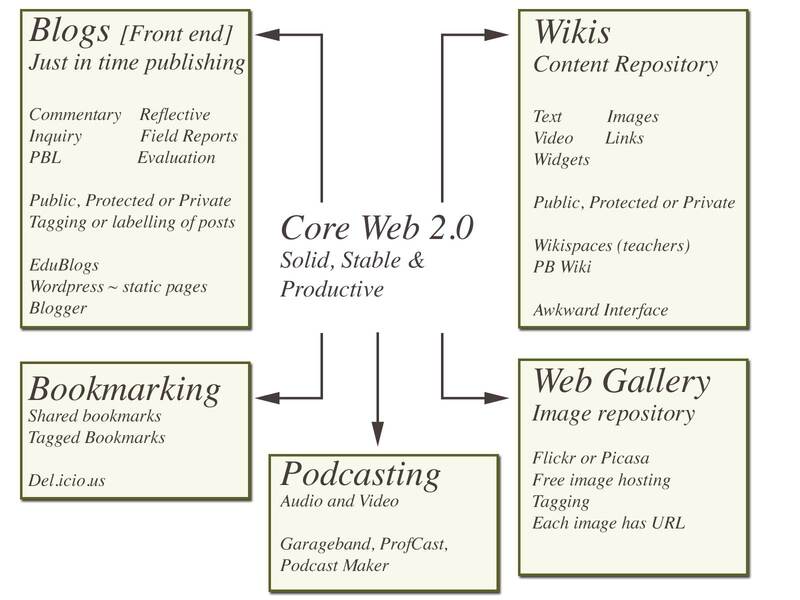 Twitter: A Complex Adaptive System? CU_Online_Handbook_2009 Refer Chapter 8 and page 86.